This is, however, reflected in the price of natural duvets as they are more expensive than those made with synthetic insulation. Basically, their insulation qualities are inferior to down as more filling is needed to achieve the same tog rating. Down filled duvets should last for at least 20 years and feather and down and feather blends for about 10 years. 1. Direct manufacturing factory for all home textile products provides competitive price. 1. Experienced more than 14 years in manufacture and trade. 4. Facility: more than 120 sets of advanced equipment for manufacturing and quality inspecting. It is very convenient to visit us, and all clients from all over the world are warmly We take customers as our family. It is our greatest hon or to have the opportunity to offer our sampes to you. 1&gt; Original design ----our professional designer s team can give you various creative designs to meet your taste. 2) We have about 10years experience in this line and enjoy highly reputation in the international market. 2) Bath Linen :Towel Set,Bath Rug,Bathrobe,Slipper,Shower Curtain,Hotel Amenity,etc. 3) Restaurant Linen :Table Cloth,Napkin,Table Mat,Napkin Ring,Chair Cover,Spandex Chair Cover,etc. Shanghai Lixin Textile Co., Ltd.
is a private company specializes in manufacturing feather and down products such as duvets, pillows and mattress protectors since Aug. 2001 with convenient transportation, and we can provide all kinds of fabrics for these products. Guaranteed by our modern equipment and strong production capacity, we have exported our products to Europe, the USA and Japan. 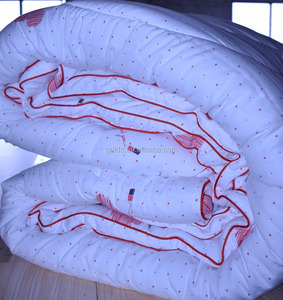 Alibaba.com offers 1,814 thick duvet products. About 25% of these are bedding set, 16% are quilt, and 7% are comforter. 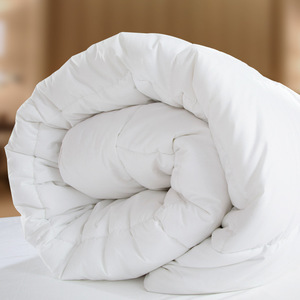 A wide variety of thick duvet options are available to you, such as home, hotel. You can also choose from 100% cotton, polyester / cotton, and 100% polyester. As well as from stitching, handmade, and patchwork. And whether thick duvet is printed, or embroidered. There are 1,814 thick duvet suppliers, mainly located in Asia. The top supplying countries are China (Mainland), Pakistan, and India, which supply 72%, 25%, and 1% of thick duvet respectively. 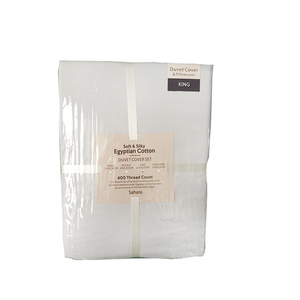 Thick duvet products are most popular in North America, Western Europe, and South America. You can ensure product safety by selecting from certified suppliers, including 284 with ISO9001, 213 with Other, and 129 with ISO14001 certification.